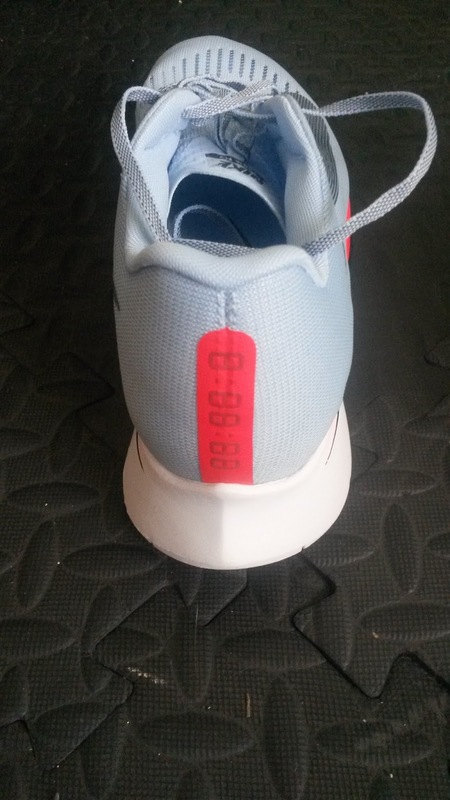 Toe Box: This was actually the first thing I noticed upon initial step in. The toebox, like the recent trend in Nike running shoes including the Zoom Elite 9, Streak 6 and their track spikes, is fairly square and anatomic. For a normal width foot, there is enough room to be comfortable without being sloppy. In fact the stretchy upper seems to conform very well to the entire foot. Additionally, the upper is very breathable, which is nice now that the heat of summer is upon Southern California. 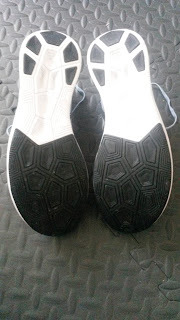 There is not much of a toe guard, so this shoe will work best on roads and very mild trails. Mid Foot: The midfoot is not chokingly narrow like many Nike shoes but is still somewhat snug. Thanks to both the stretchable mesh and the integrated flywire, the midfoot upper holds the foot very well in the classic customized manner. Heel: The heel is fairly narrow and holds the foot in well with only a minor heel counter. The fit is tight but in a snug and comfortable way. There is some additional cushioning around the heel collar that keeps the fit comfortable and those with sensitive heels/calcani should be fine. The tongue shape I thought would be an issue, but I found the design actually splits well over the front of the ankle. I have not taken this shoe out for longer miles, so time will tell how well it stays in place. Overall Shape and Sizing: The Zoom Fly has a wider toebox that tapers into a narrow heel. The breathable upper mesh and flywire create a custom fit so those with normal and narrow width feet should be fine. Those with extremely wide feet may have an issue at the heel and currently widths are not available in the Nike Zoom Fly. Overall I am extremely impressed with this upper as the sensation of it being there completely disappears when I start running. Even while sprinting the upper holds the foot very well. Size wise I would say go with your true size (I went with my normal size 10 and they fit great). The upper, especially in the forefoot has enough room that those looking for a very snug fit could go with a half size down, but I would stick with your normal size. Forefoot: The forefoot, similar to the upper, has a wide, anatomic and stable platform. 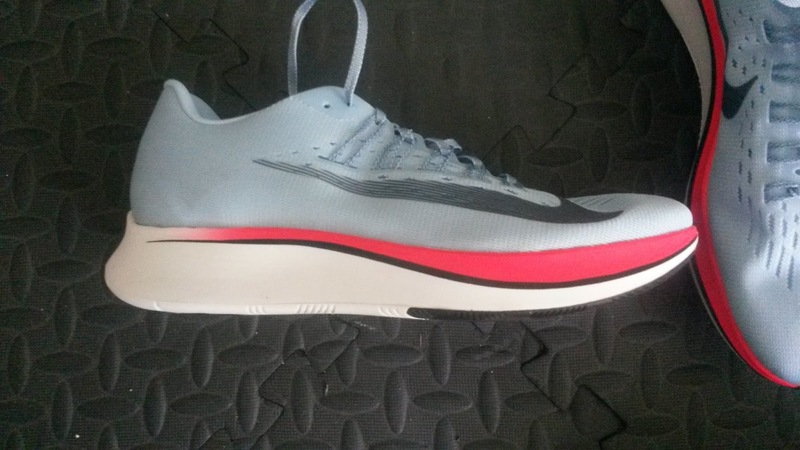 While the Zoom Fly utilizes traditional Lunarlon cushioning instead of the new ZoomX midsole, there is a full length carbon infused plate that is very unique. Most shoes with plates in them only extend part way through the shoe, the GOmeb Speed series, older versions of the Adidas Adios, the 361 Chaser, the Streak 6 and others being great examples. I have always wondered why full length plates were so rare (the Takumi Sen/Ren 1 and 2 came close but I do not believe they extended all the way into the heel). The carbon infused plate that runs the entire length of the Zoom Fly is especially prominent in the forefoot. Thanks to the combination of Lunarlon and the plate, there is a ton of responsiveness here. However there is very little flexibility there (again thanks to the plate) that is made up for by a large amount of toe spring. The spring of the lower part of the sole is a greater gradient than what the toes experience, which makes the ride smoother (See Thoughts as a DPT). The combination of Lunarlon and the plate seem to compliment each other well. The ride is not harshly firm and not marshmallowy soft, but is definitely a nice blend of the two. Heel: This shoe is not made for very harsh heel strikes. Most people will get away with it due to the high level of sole there. There is heel bevel, but it is centered rather than being posteriolateral, thus creating some very minor medial and lateral heel flare. 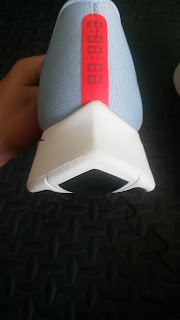 I'm sure over 80-120 miles most people will wear the posterior lateral section down and create a normal heel bevel, although the black outsole rubber looks to be very durable after the short 4 mile run I took them on. There is a ton of Lunarlon in the heel, but like the rest of the shoe it does not feel as soft as the lunarglide or other lunar shoes. Despite the maximalist inspired look, this shoe is fast. 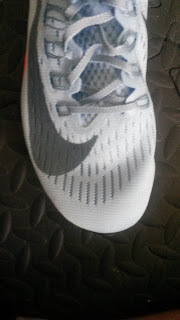 The carbon infused plate starts in the heel and definitely adds to cushioned responsiveness feel back there as well well. Landing on the heel is fine and you will still feel yourself being rolled forward by the somewhat rockered sole and the plate. 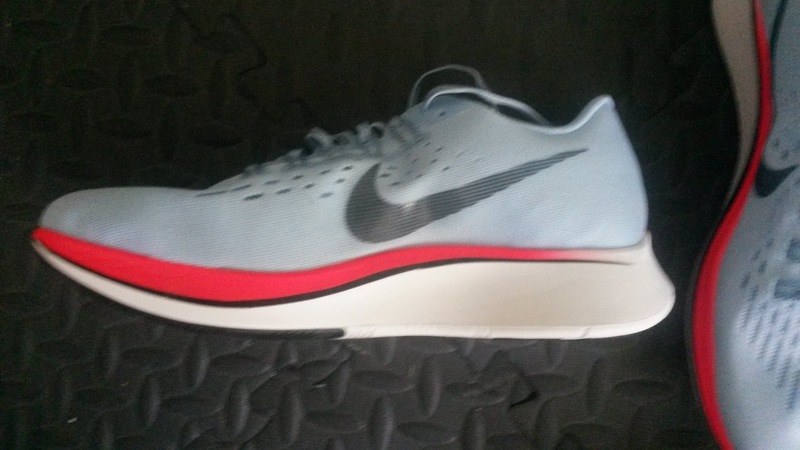 Due to the softer Lunarlon, the Zoom Fly actually does not feel like a 10mm drop shoe. That is thanks to sole compression, so especially in this shoe take the heel drop measurement with a grain of salt. It feels fairly close to where the Streak 6 is just with more cushioning. So for those used to 4-6mm drop, I would still say try this shoe out. The Zoom Fly is designed for longer races, distances and miles, so the heel bevel, toe-spring and drop should spare the calves a bit over distances. Thoughts as a DPT: I have a full post discussing toe spring and my thoughts on it HERE. The lack of flexibility in the Zoom Fly's front end definitely warrants extensive toe spring to help with progression over the forefoot. If that toe spring was not there, this shoe would cause a great deal of calf problems due to the stiffness. Luckily thanks to this combination, my calf muscles actually felt great. The plate does bend under body weight and feels awesome at speed. The combination of the plate and the Lunarlon seem to balance each other out. Many times softer shoes lose energy return due to absorbing more force than returning it (hence the soft feeling). The addition of the plate helps with energy return and thus the combination of cushioned responsiveness. However, one of the reasons I think this amount of spring feels better than other shoes is that the sole toe spring and the spring right beneath the toes are different. In most shoes those are equal, especially in Adidas shoes and the toes are held in quite a bit of extension. Given that toe extension is one way to tension the plantar fascia (this is an orthopedic test called the Windlass Test when applied to the Hallux or big toe), having your foot held in this manner for long periods of time can be very uncomfortable. Especially for those with plantar fasciitis (-osis being more common) or similar issues. 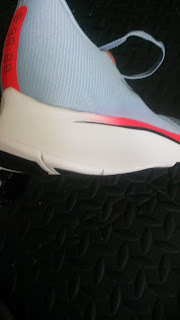 The Zoom Fly gets this right by having the toes kept in a more neural position but still having the upward curve of the outsole and tapering off the midsole. This is way more comfortable as the foot itself is not held in an extreme position. The toes won't see a ton of movement because of the stiffness, but at least they are kept in a neutral position. When it comes to the human body, neutral position is usually best and we in the medical profession strive for this in many cases to try to keep the body in some kind of equilibrium. It can be difficult sometimes with certain conditions, but the body generally likes staying in a stable state and not in extremes. 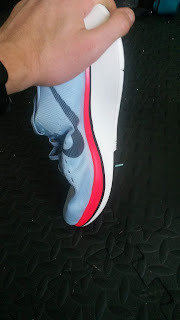 So for those wondering why this shoe works well for them even though they normally hate toe spring, I believe the responsiveness of the plate and cushioning still give great forward propulsion. Many times that gets lost in shoes with extreme toe-spring because your calves are taken out of the equation with the artificial forefoot rocker. I believe the plate still may engage the calves well, but not in the extreme way that many stiff track spikes might due to being balanced out with the toe spring. An interesting concept that I hope other companies with rocker soles consider. Conclusion/Use: This shoe is the definition of responsiveness. Not too firm, not too soft but still packs a punch at higher speeds. I had a very hard time running slow in this shoe. The Zoom Fly would definitely work for the masses as a long distance/marathon racer given how comfortable it feels at higher speeds. 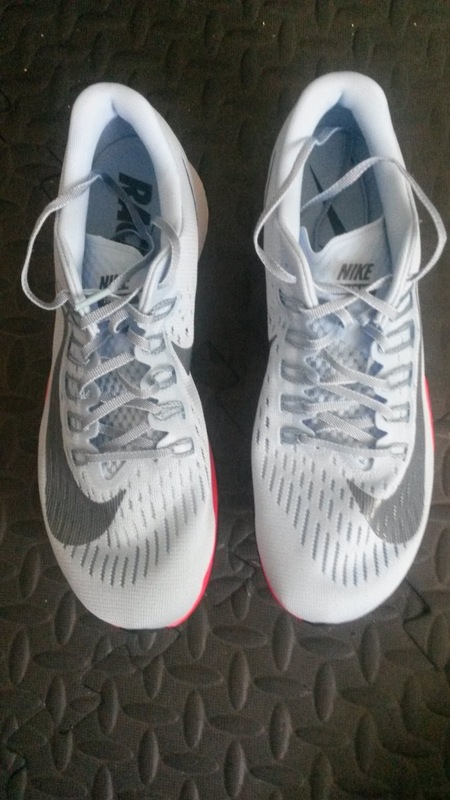 Due to the cushioning and weight, this could also be a fantastic lightweight trainer or longer workout shoe more experienced runners or those used to lighter shoes. I am now very curious about the Vaporfly 4% and am anxious to see how the ZoomX midsole material works. I really like the ride of the Zoom Fly and will likely keep a pair in the future (right now I am a poor orthopedic resident, so unfortunately have to send these back). If you are looking for a fast shoe (it is very hard to run slow in these) with a very comfortable fit (narrow heel, anatomical forefoot) definitely consider these. I know $150 is expensive, but that price is becoming more normal every year. So at least give them a try. ***Disclaimer: These shoes were a personal purchase from Running Warehouse. I did run briefly on the road to test the shoes out for 3-4 miles. Due to financial reasons I will likely have to return these to Running Warehouse as I am currently an Orthopedic Physical Therapy Resident at Casa Colina (and funds are a bit tight as a resident). However, if they are provided to me by a company in the future, I will put them through their paces and report back fully. Due to how much I like this shoe, I will likely purchase it in the future and will give a full review, much like I had to do with the Streak 6.